Known as the High Country, the alpine region northeast of Melbourne is a scenic part of Victoria and home to major winter sports. 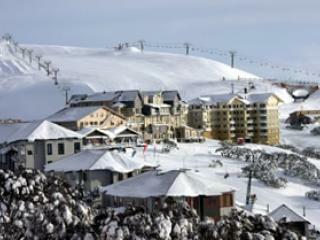 Located 375km northeast of Melbourne, Falls Creek is situated east of Bright with access via Mount Beauty. The alpine region also encompasses Wangaratta, Rutherglen, Milawa, Nagambie and Mansfield. Renowned for their winter sports and snow resorts, the ski fields of Falls Creek, Mount Buller and Mount Hotham offer excellent downhill skiing and snowboarding with slopes of up to 1800m. 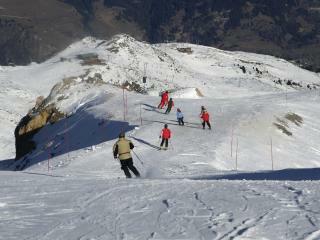 Beginning in June, ski season typically runs until the beginning of October but can depend on conditions. Always busy when the ski fields of the northern hemisphere are closed for summer, bigger resorts sometimes use snow machines overnight to make up for any light snowfalls. Located 246km northeast of Melbourne in a picturesque valley, Mount Buller offers access to its slopes from both north and south roads. Home to the most extensive lift network in the southern hemisphere, the mountain features 160 hectares of 80km ski runs, 27 pomas and triple chairlifts with a 40,000 per hour capacity. Situated 375km northeast of Melbourne and east of Bright, Falls Creek is accessed via Mount Beauty and is renowned as the state’s second largest winter resort and best skiing region. Boasting 18 triple and quad chairlifts, the village also offers a great range of shopping and accommodation options. Just south of Bright, Mount Hotham is the state’s fastest growing ski resorts and boasts its own airport offering direct flights between Sydney and Melbourne during winter. 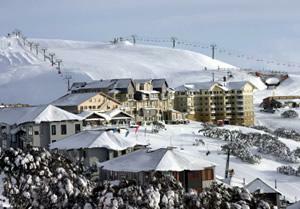 Covering 245 hectares, the ski resort of Mount Hotham also features 13 chairlifts, over half of which are quad lifts. Located 330km northeast of Melbourne, Mount Buffalo is a small ski region situated in the heart of the Mount Buffalo National Park. The ideal spot for less experienced skiiers, the resort features 7 lifts and is a major cross-country skiing destination but is also popular with hikers, cyclists and trout fishers in summer. Two and a half hours east of Melbourne, Mount Baw Baw is located in the Baw Baw National Park and offers 37 hectares of 25 downhill ski trails, 10km of groomed cross-country ski trails and 8 lifts, making it ideal for a day trip from Melbourne as well as an extended stay.